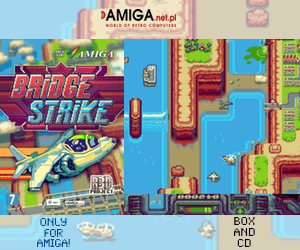 With so much activity recently in Amigaworld. It’s really not good for the Amiga reputation. But the fact is that Hyperion Entertainment did manage to release AmigaOS 3.1.4 as one of the biggest AmigaOS upgrades for the classic Amiga since the days of AmigaOS 3.5 and 3.9 is what the platform needed. But now AmigaOS 3.1.4 is no more available for Download on their site. AmigaOS 3.1.4 was available as immediate purchase from Hyperion’s direct download section as digital download and was available there shortly on and off. In that time, Hyperion also revealed where Amigans is in the world. However. Now, Hyperion announces that AmigaOS 3.1.4 is now being sent sent as physical set of 3,5″ floppy diskettes and machine specific ROM’s to Amiga dealers such as Amedia Computer France (download of digital version will be included after registering with supplied serial number). Amedia Computer France says to Amitopia that they are still waiting for receiving electronic serial numbers and labels. Once this in order. They as any other Amiga dealers will be selling AmigaOS 3.1.4 very soon. 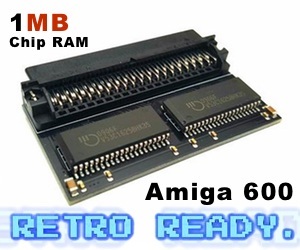 The new, cleaned-up, polished Amiga operating system for 68000 and up to 68060 and even 68080 FPGA CPU’s fixes many annoyances that have piled up over the years. Originally AmigaOS 3.1.4 was intended as a bug-fix release only. But Hyperion was wise and developed it even further. Hyperion modernised many AmigaOS system key components that were previously upgraded in AmigaOS 3.9. AmigaOS 3.1.4 is arguably as large an upgrade as AmigaOS 3.9 was, and surpasses it in stability and robustness. Over 320KB of release notes cover almost every aspect of this favourite classic AmigaOS that doesn’t want to die at all. With this release, Hyperion shows their dedication to support the 68k line of Amiga computers including their nextgen AmigaOS 4.x line. Both Early Startup bootmenu and datatypes is updated and the best thing is that the 4GB Hard Drive partition limit is now totally gone. So, just go ahead and make 15GB Hard Drive partitions without any issue. Amitopia wants to personally thank Hyperion Entertainment and the great team of developers, testers, translators and other helpers for all their hard work during the recent months putting AmigaOS 3.1.4 together. Without them this release would not have been possible. We think that those that is fighting to get AmigaOS back in USA without any reason other than hurting the platform should stop doing it. Hurting Amiga community will turn Many people against you. Why don’t you help and develop interesting apps for AmigaOS instead? The AmigaOS platform need development, no more drama please!